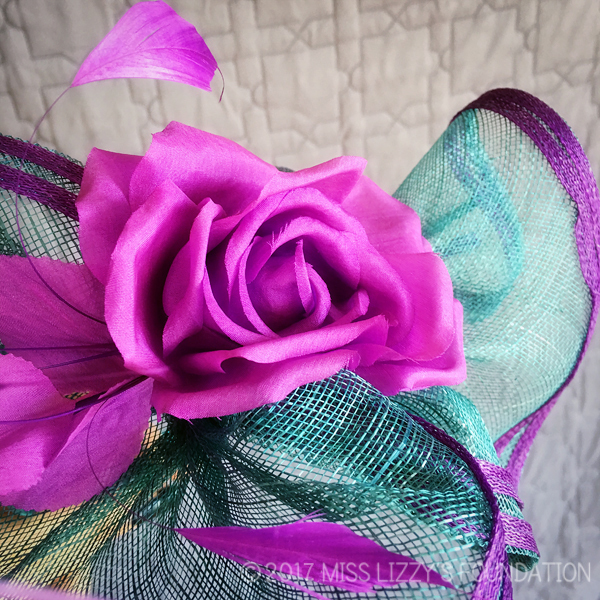 Today’s feature is a vibrant turquoise sinamay fascinator trimmed in purple and topped with a fuschia flower and purple feathers. 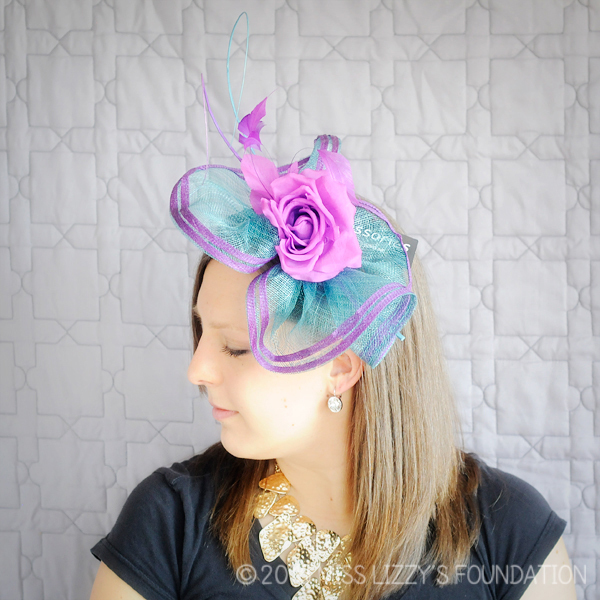 This unique, bright headband will complement an array of outfits and is easy to wear. 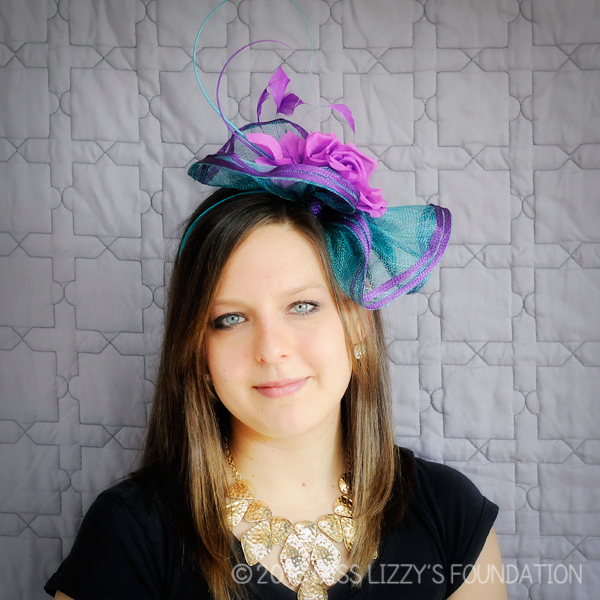 ← Open House Hat Sale!